It feels like nothing is impossible in the glittering, enchanting and fabulous desert escape. 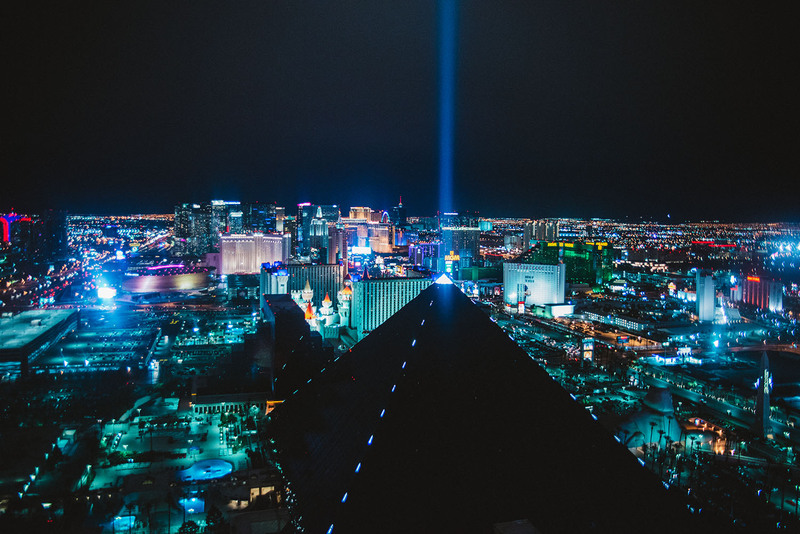 Las Vegas is a city you simply must experience! 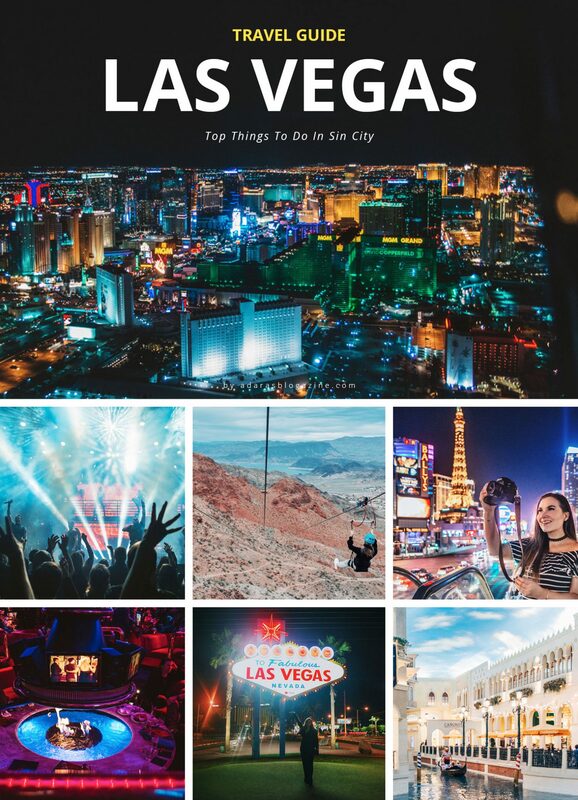 After having spent over 12 days in this city of sin and having stayed at six different hotels in the city, I’ve put together this travel guide with my top things to do in Las Vegas. Let’s face it. All places on earth are unique, but Las Vegas is a city that could be on an entirely different planet. 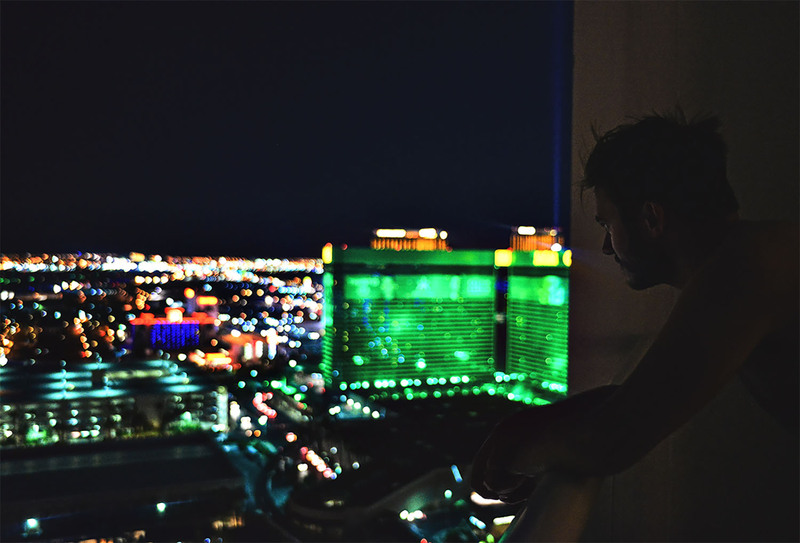 You get a taste of the whole world with a single glance on the Strip. You forget time, space and reality. Although Las Vegas is famous for its casinos, nothing in this guide is about gambling. Why? 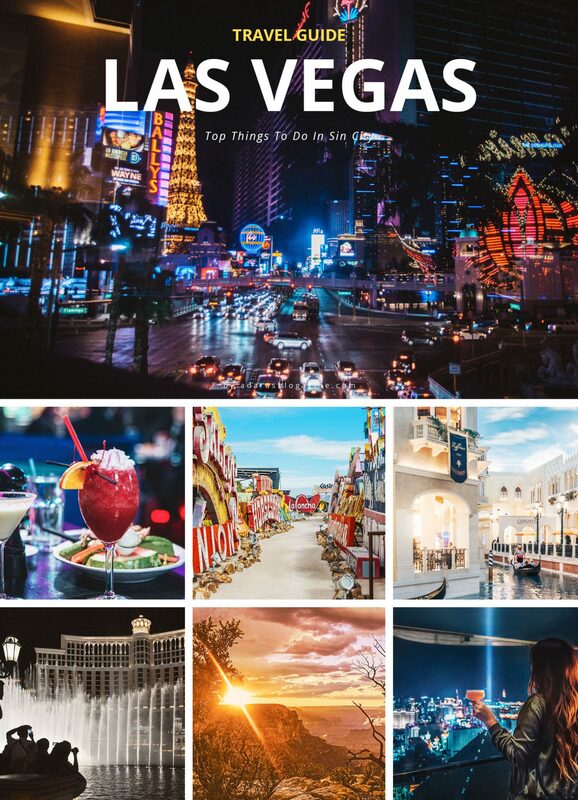 Because, Las Vegas has so much more to offer! 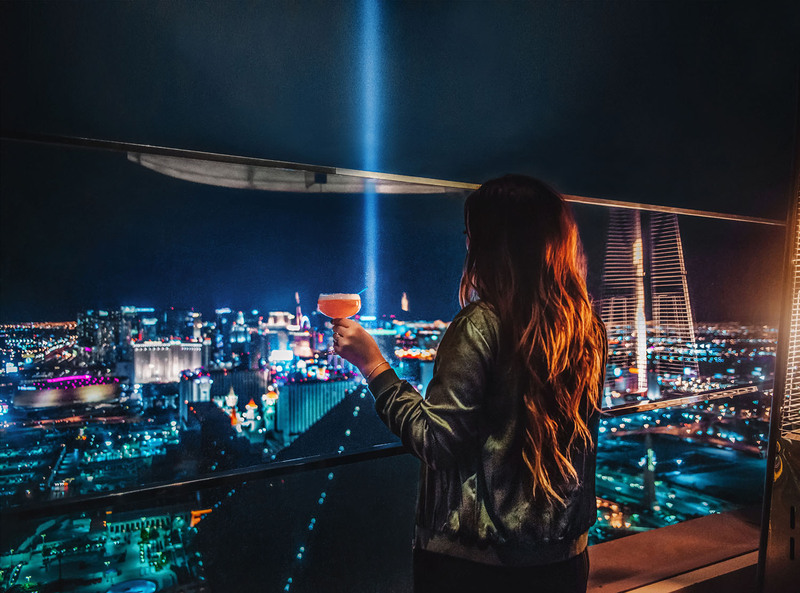 Discover the real Vegas in the hip downtown, toast to unbeatable views, enjoy world-class cuisine and why not zipline over the Mojave Desert? The Strip in Las Vegas is a little over 4 miles long and filled with fabulous attractions. 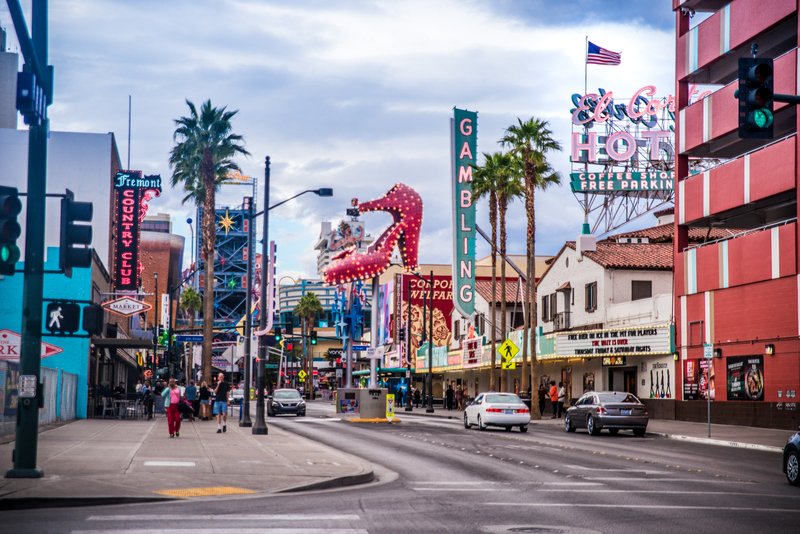 If you have never been to Las Vegas before, you should start with putting on comfortable shoes and take a stroll on the famous main street: The Strip. There is probably no road on earth that is more fun to experience. It’s as you walk through several ages, cities, and continents. You can spot wonders like the Eiffel Tower and the Statue of Liberty, walk along the canals of Venice, see a fairytale castle, Ceasar’s Palace and a pyramid with a never-fading light (which can even be spotted from space!). 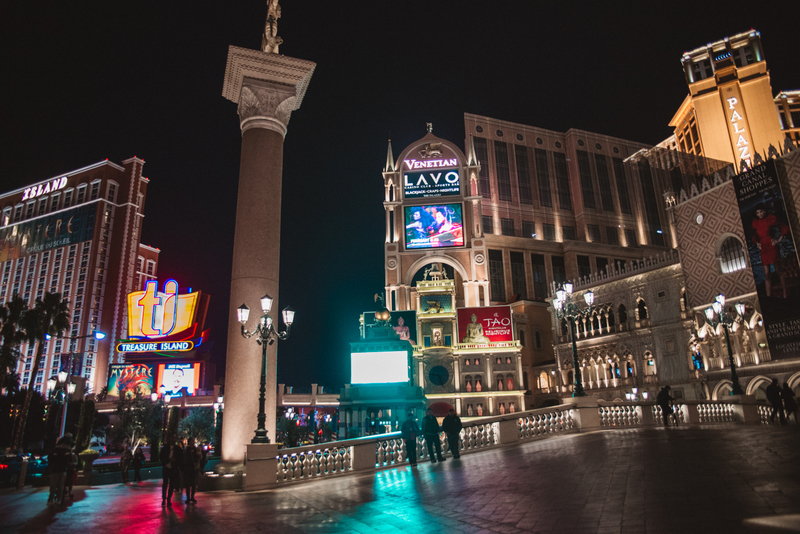 Make sure to experience the Strip, both day and night. 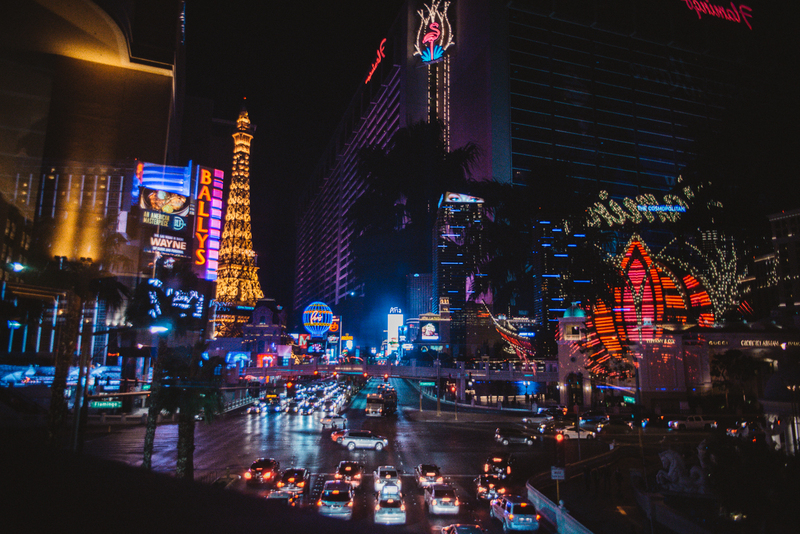 Although Las Vegas is a city that never sleeps, the contrast between day and night is huge. The feeling when all the neon signs begin to light up is something you just have to see! 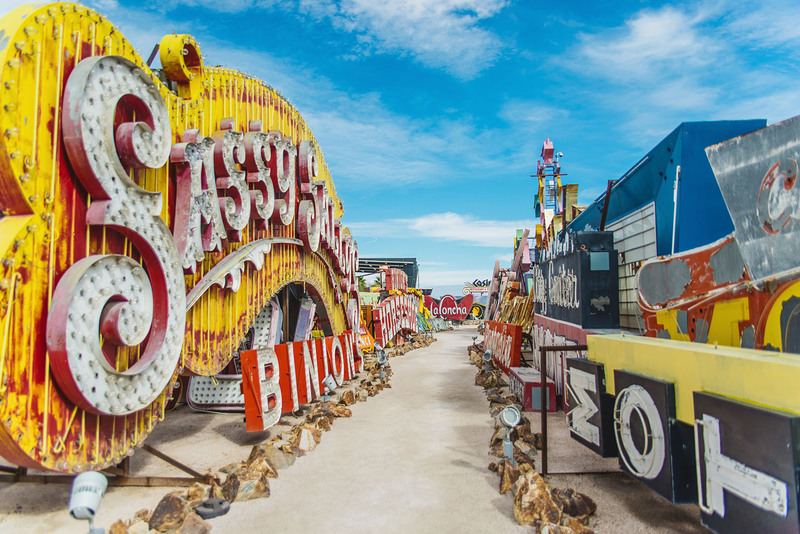 Since 1996, The Neon Museum in Las Vegas has saved the iconic Las Vegas signs from the junkyard and gathered them outdoors. In this sad and fascinating neon graveyard lies signs that once attracted you to casinos like Stardust and Sassy Sally’s. 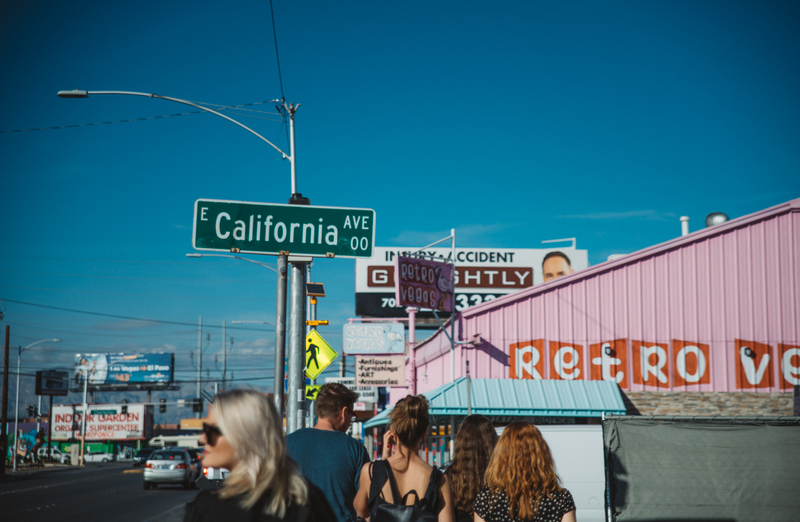 Take a guided tour to learn more about the sinful past and about the city that was born in the middle of the Nevada desert in the early 1900s. Book tickets in advance. Ticket prices for day tours are $19 and night tours are $25. 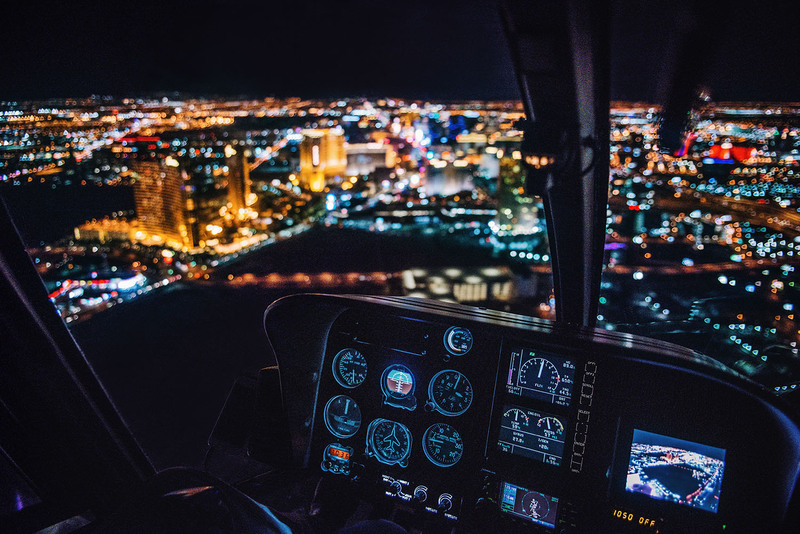 Soaring over the glittering stretch of Las Vegas Boulevard by night is a truly magical experience. A tour takes about 15 minutes and passes way too fast. But it’s 15 minutes you’ll never forget. I’ve been on a ride with both Maverick Helicopters and iFlyElite.com and can highly recommend both. 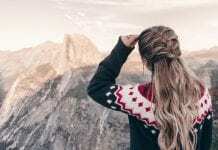 One tip is to check which companies have deals before you go. It’s easy to save loads of money on Vegas activities via deal apps. You can, of course, not miss the best known and most popular show in Las Vegas: The fountain show at the luxury hotel Bellagio. Set to a grand soundtrack the water plunges up to 460 ft and performs a spectacular dance of water, light, and music. The fountain is in the background in a lot of movies and TV Series. Maybe you remember that this is the place where the whole crew in Ocean’s Eleven gather to say goodbye to each other? I have not been to Venice, but it feels like I have been there after having visited The Venetian in Las Vegas. 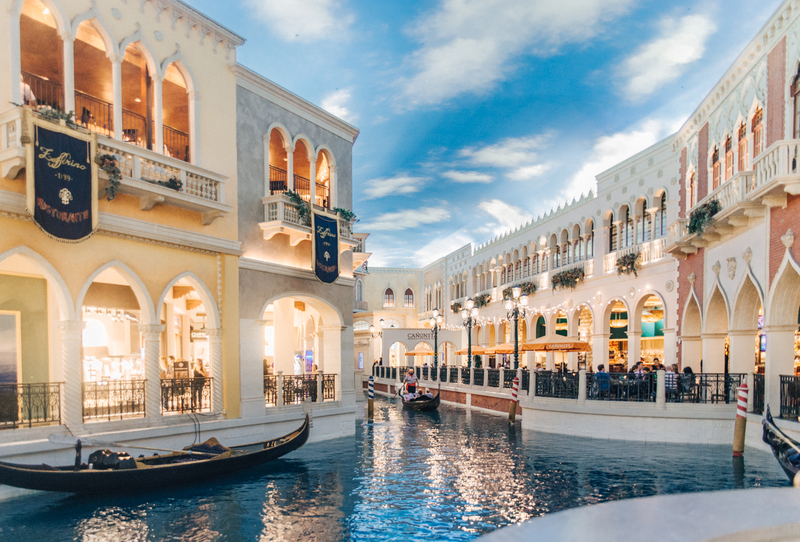 Imagine gondolas, canals, Italian cuisine, and architecture. The whole Italian atmosphere is here! 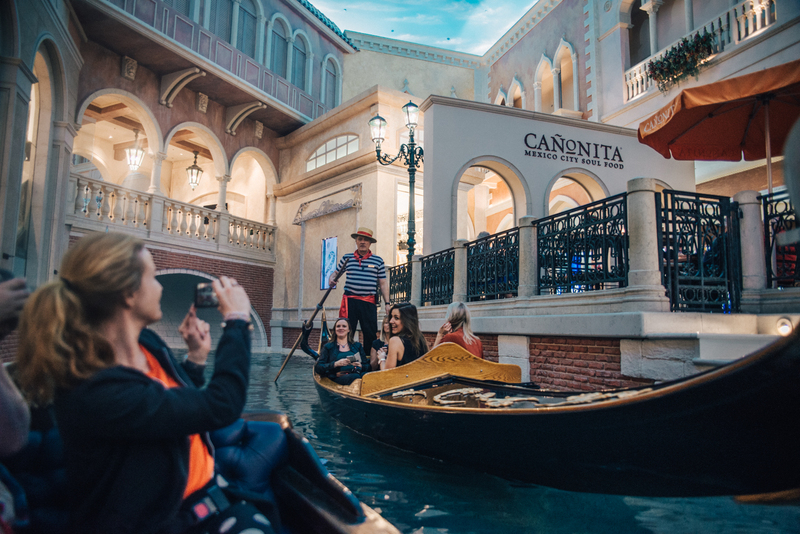 As a highlight of your visit, you can go on a gondola ride in the shopping mall and glide between monuments, bridges, and towering statues while the gondolier sings for you. There are many places with fantastic views in Las Vegas, but Skyfall Lounge at Delano is by far my favorite. When the elevator door opened to the lounge and I saw the view from the 64th-floor, between the patio heater’s flames, I just felt: WOW. I could easily spend hours here! 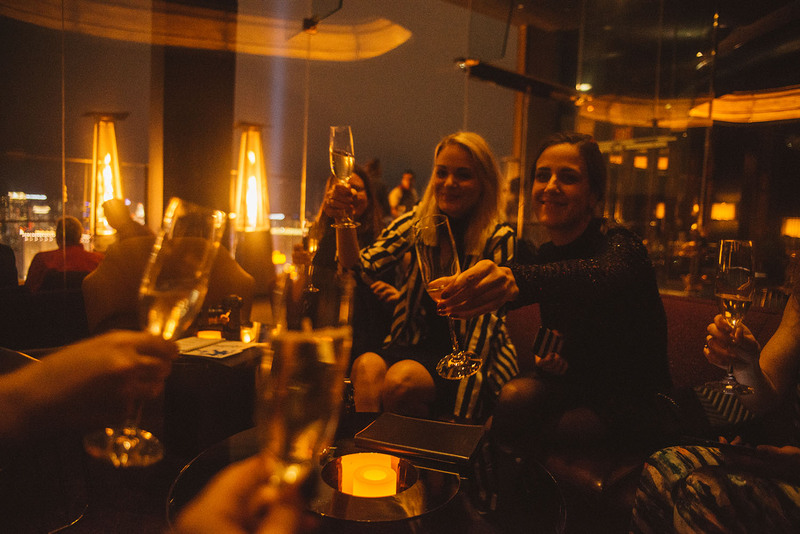 Make a reservation and enjoy the nightlife with an 180-degree views of the city. 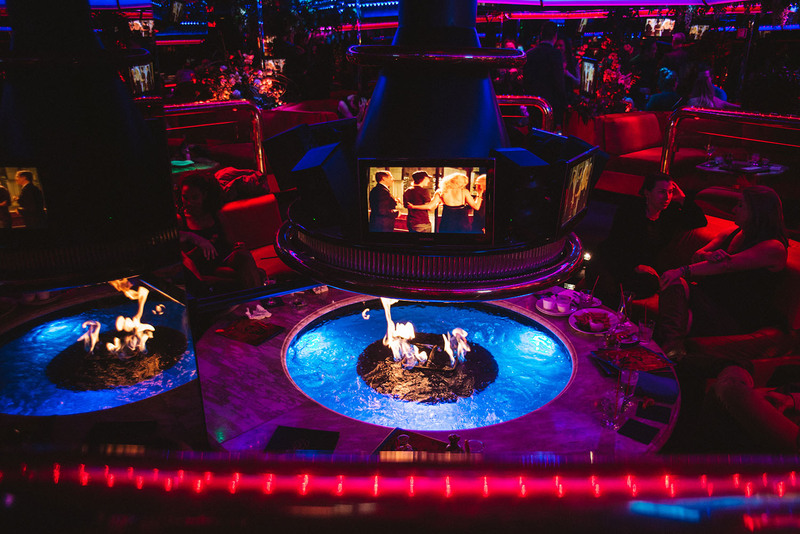 If you want to change the sophisticated nightlife for more adrenaline, head to The Stratosphere. It’s the tallest free-standing observation tower in the US and offers great views. 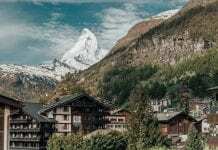 Here you can also try out three of the world’s highest thrill rides (if you dare!). 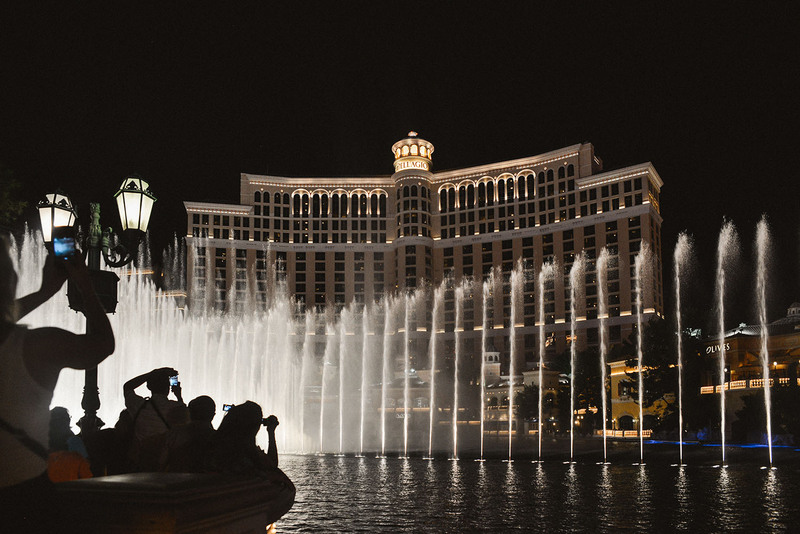 How can you top the Bellagio’s grand fountain show? Perhaps with a fire-breathing volcano? 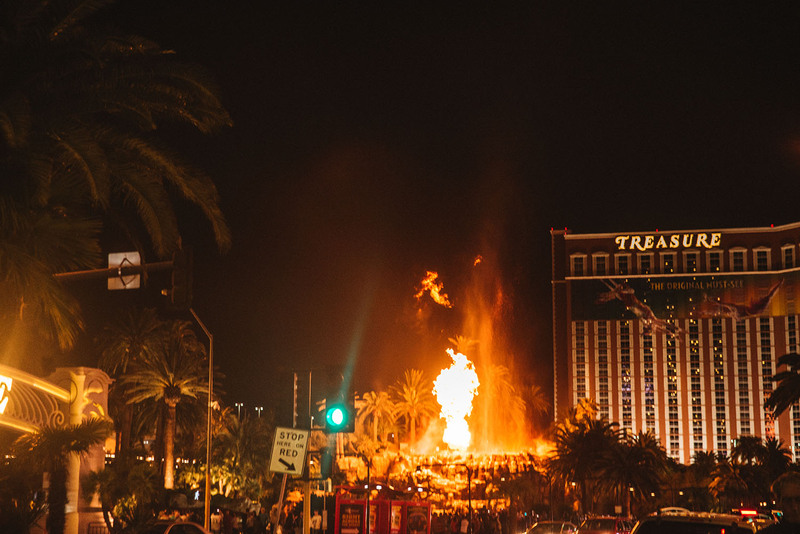 The erupting volcano outside Mirage’s tropical hotel is a must-see. Set to a soundtrack the choreographed fireballs and smoke erupts up to three times every night. 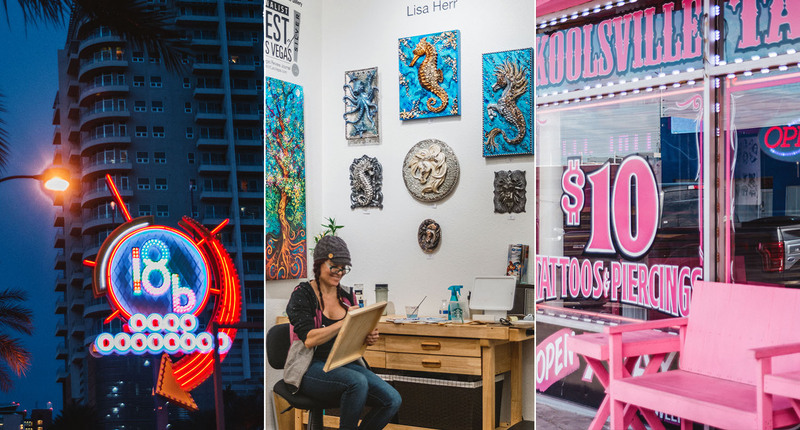 Looking for something different to do off The Strip in Las Vegas? 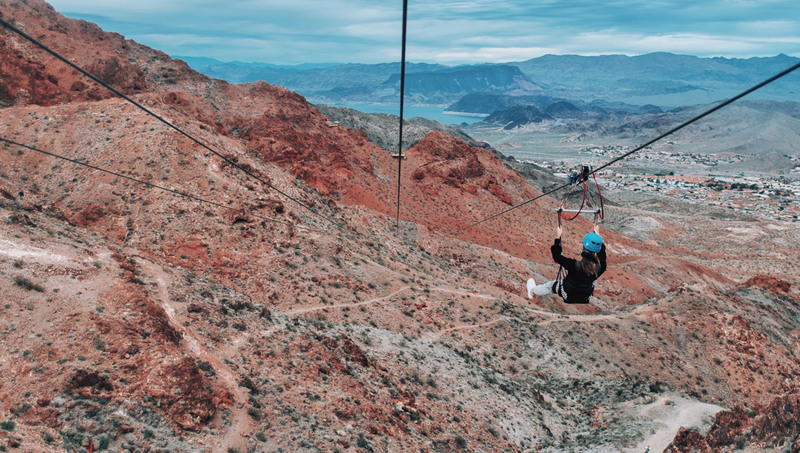 Just 30 minutes away you can zipline down the Red Mountain in Boulder City at speeds up to 60 mph. We visited Flightlinez in Bootleg Canyon. 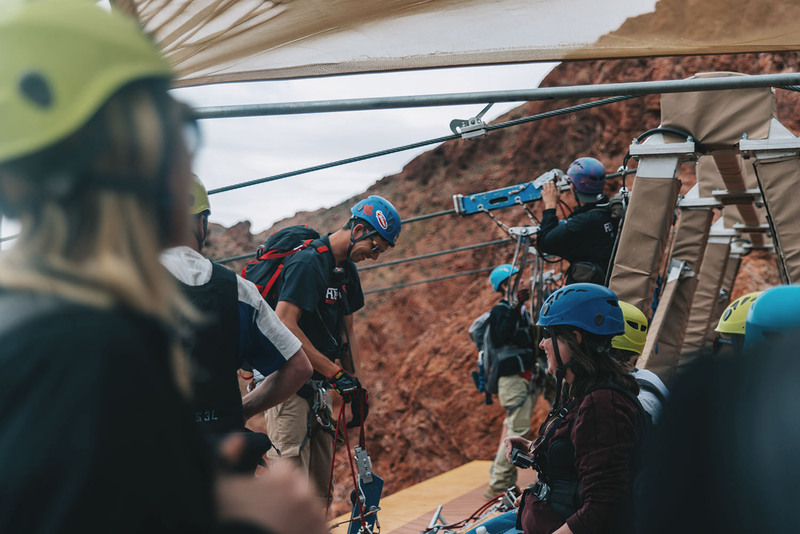 They have four different zipline runs that give you a fantastic 3-hour adventure. 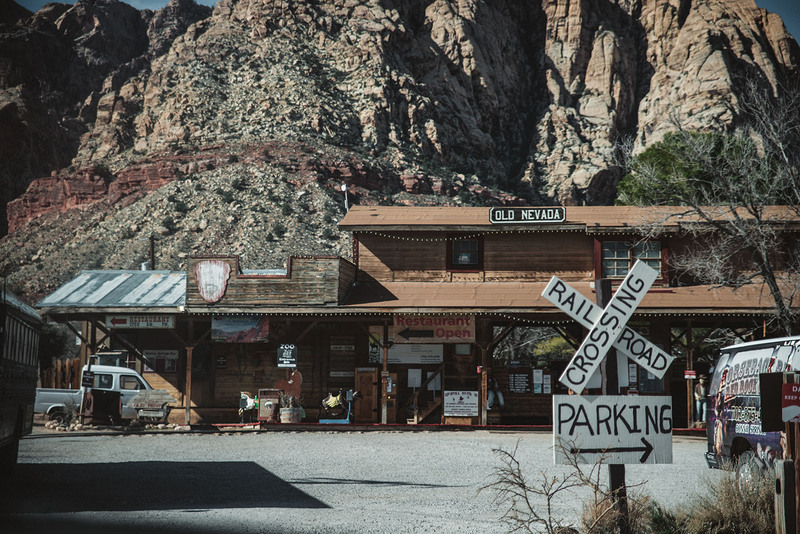 Close to Red Rock Canyon and among parched desert plants is the cool western town, Bonnie Springs, located. The town is said to be haunted and is also known as a ghost town. 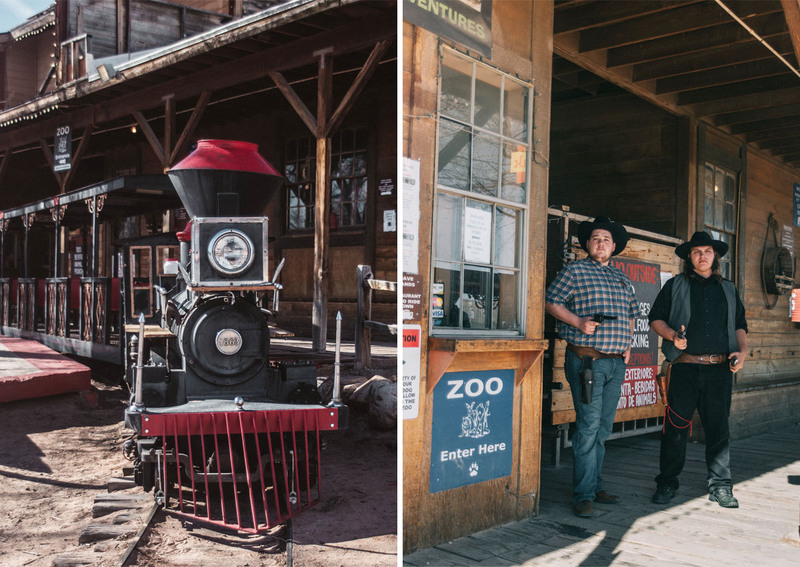 Here you can experience the wild West, talk to Cowboys, visit the zoo and ride horseback. As a fun side note, I have never seen so many birds in one place (the whole trees were filled with birds!) 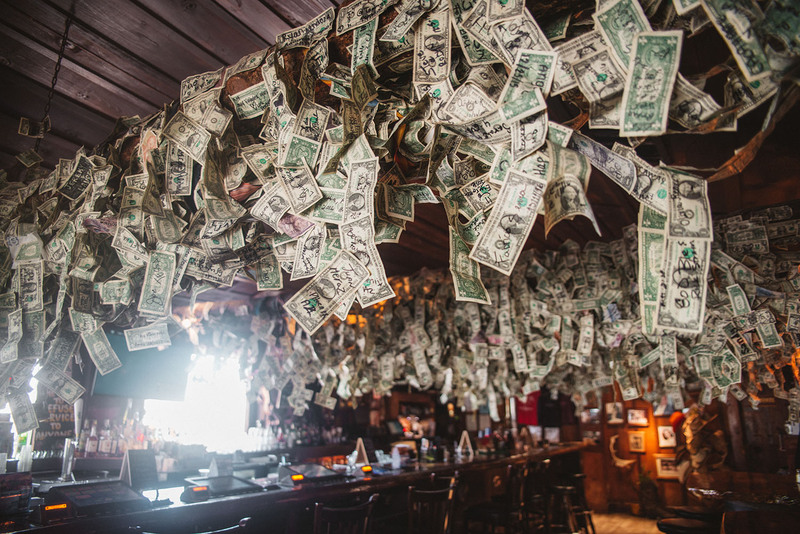 … Or seen so much money gathered in the same room. Parachute, drive a Lamborghini, take a helicopter tour … What’s on your bucket list? 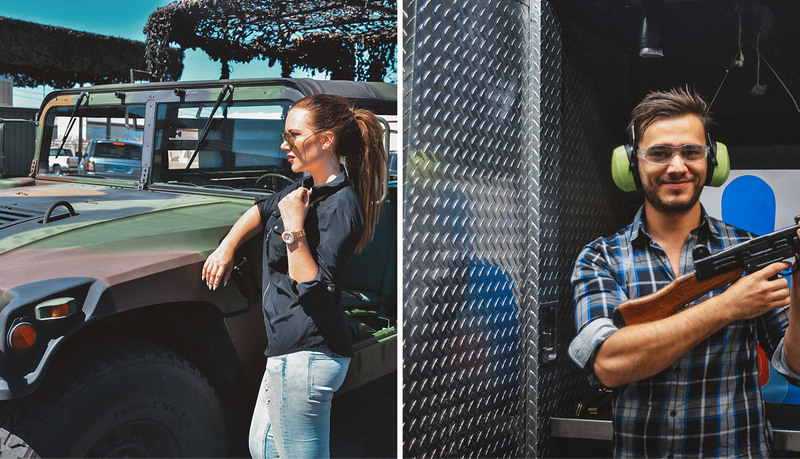 When Simon and I were in Las Vegas, we went to the shooting range Battlefield Las Vegas. We were picked up by a Humvee from our hotel on the Strip and had a very enjoyable morning. Seen on The X Factor UK, Tenors of Rocks are now rocking at Harrah’s in Las Vegas. If you like old rock hits you will love this show! 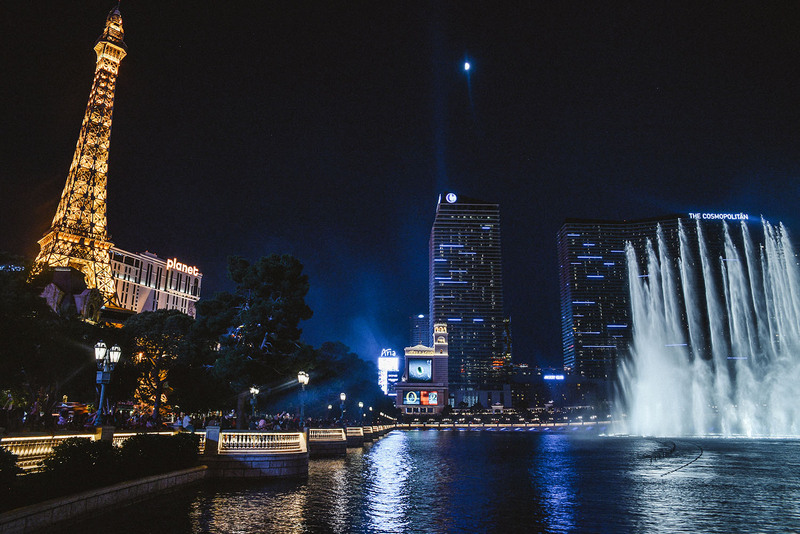 Las Vegas does entertainment better than anywhere else. 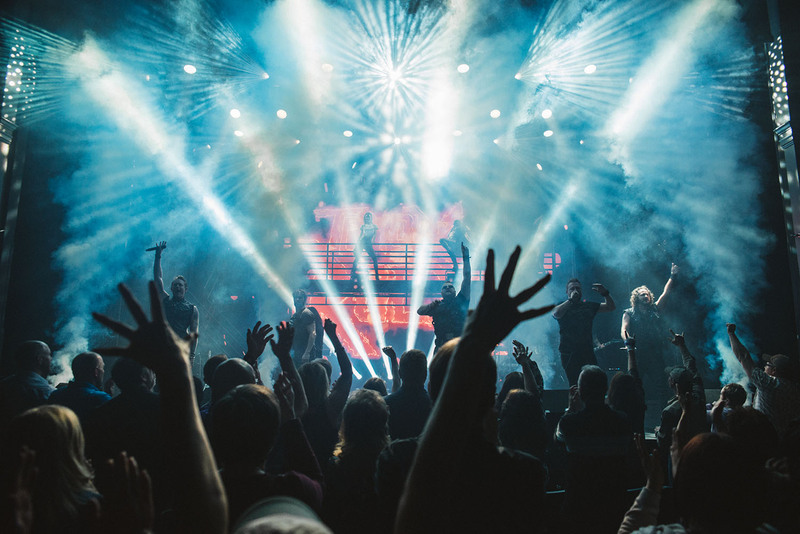 You’ll find some of the world’s best magicians, artists, comedians and acts here. Cirque du Soleil‘s shows are among the best and seeing one of their shows is on top of my bucket list for my next Vegas trip. 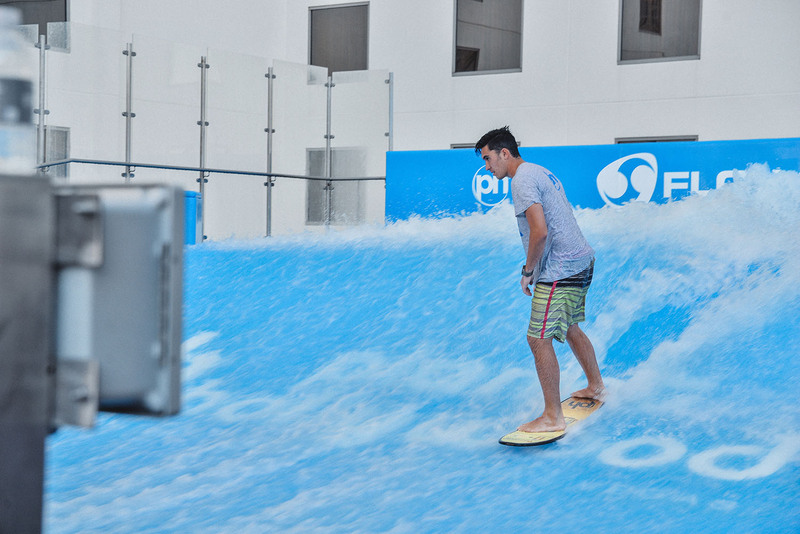 If you want to cool off, why not surf on Planet Hollywood’s roof? It is a highly different experience to surf above the Strip. Though, I have never been so bad at anything in my life. Surfing with FlowRider was so difficult! Simon managed to surf for a few seconds, and we almost died of laughter. There are a lot of paradise places in Las Vegas. 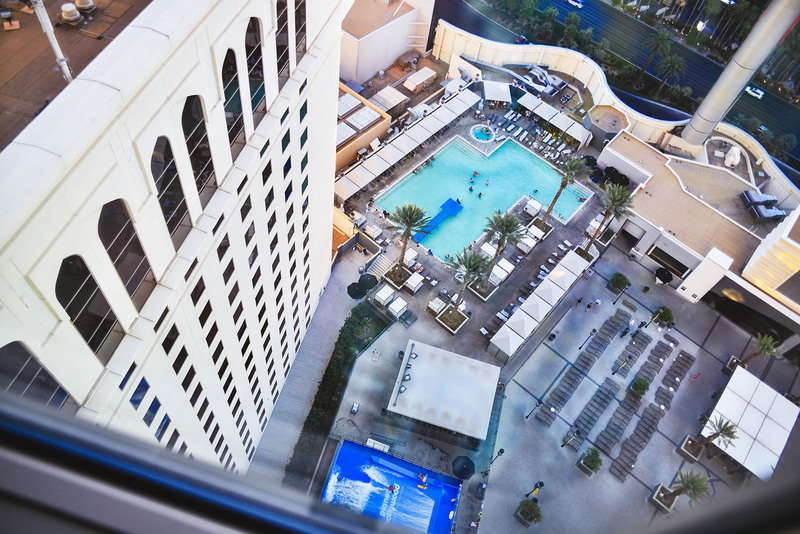 The right picture is a view over MGM’s Grand Pool Complex. If you want to take a break from shopping and attractions, take the opportunity to enjoy the desert weather. In Vegas you find some of the best pools and considering that the sun shines over 300 days a year, you have an excellent opportunity to work on your tan. 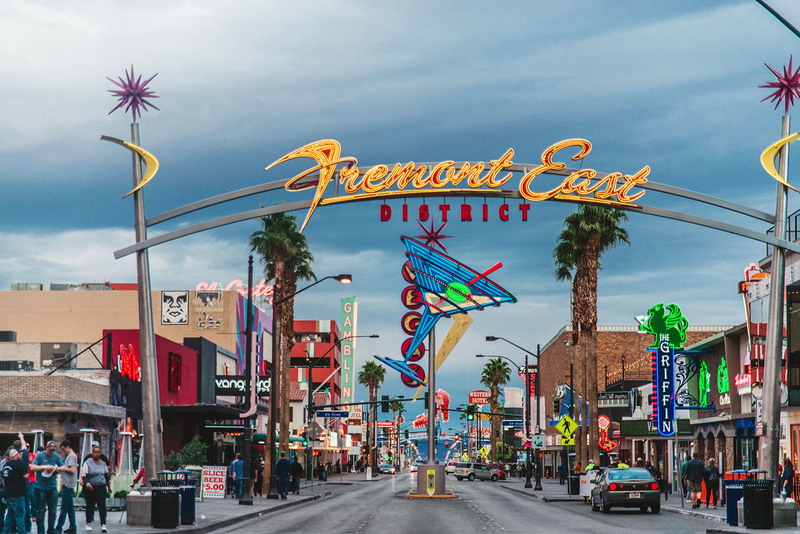 Although the fantasy bubble The Strip is the highlight of the trip, you simply must venture off The Strip to visit Downtown and Fremont Street. It was here everything once began. This is where you experience the real Las Vegas. Head to the 18b Arts District, to hang out with the hip and cool locals – without a slot machine in sight. 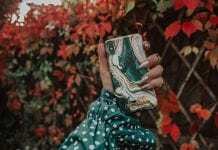 Check out the cool vintage shops, check out the art at The Arts Factory (where the city’s artists work) see live music, try out unique bars or get a tattoo or piercing for $10. This area is certainly a contrast to the Strip! 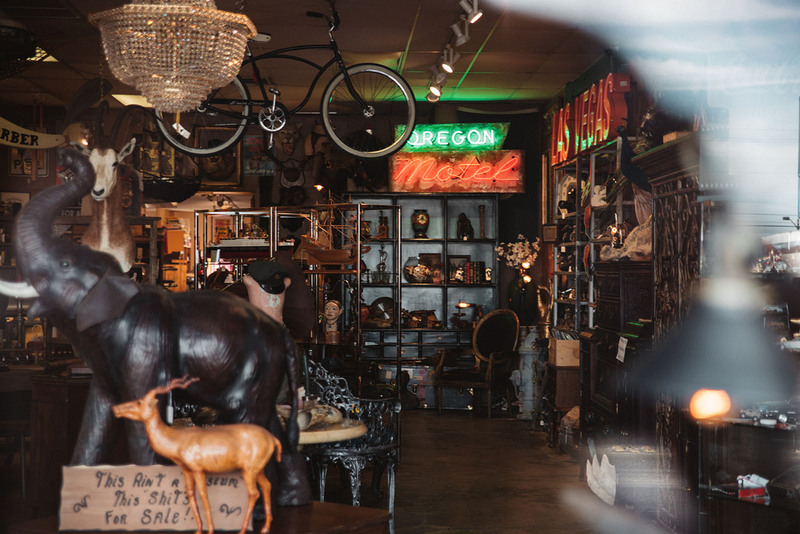 In the Arts District, you find a lot of cool antique stores. Cheap drinks, sketchy bars, strange people and a lot of street performers. 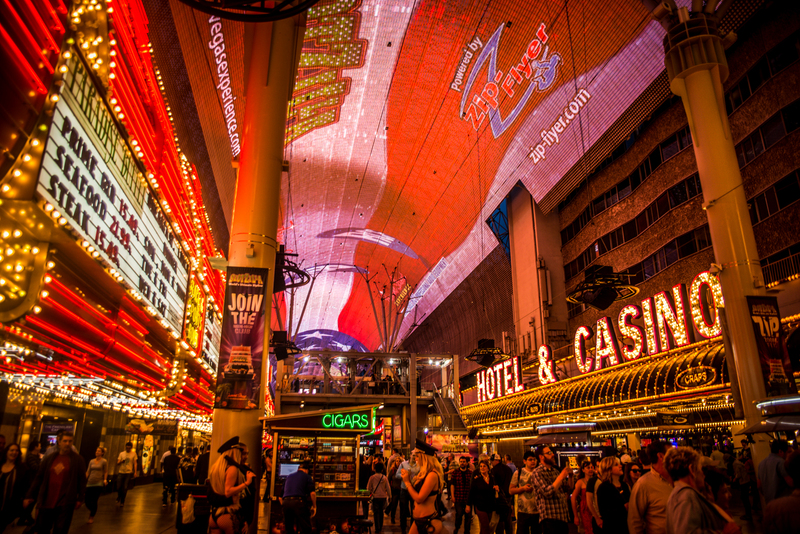 Fremont Street Experience is a must to experience! The Las Vegas luxury is far away, but it is still something very fascinating with this party street. 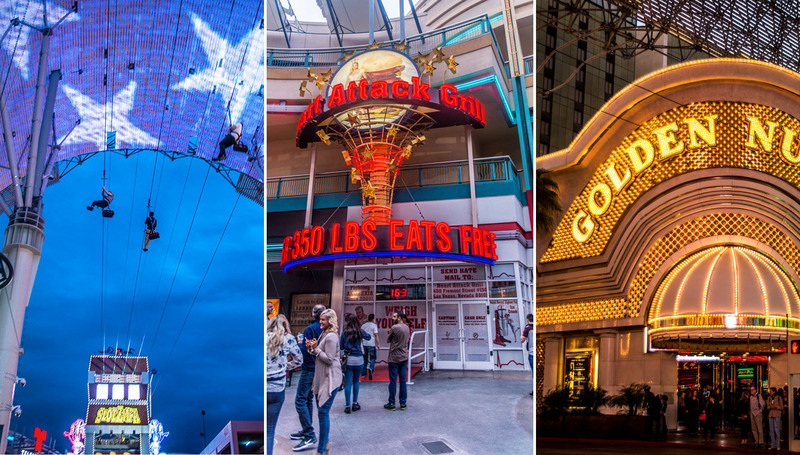 Visit the Golden Nugget to see a giant aquarium with sharks and fish, zipline over all people, or try the record-breaking 20 000-calorie burger at the infamous Heart Attack Grill. As you are treated as a patient in this restaurant, you have to put on a hospital gown before ordering food from one of the nurses (waitresses). If you weigh over 350 pounds, you eat for free. But step inside at your own risk, customers have died at the grill. In the evenings this preying mantis starts to breathe fire outside the Container Park. 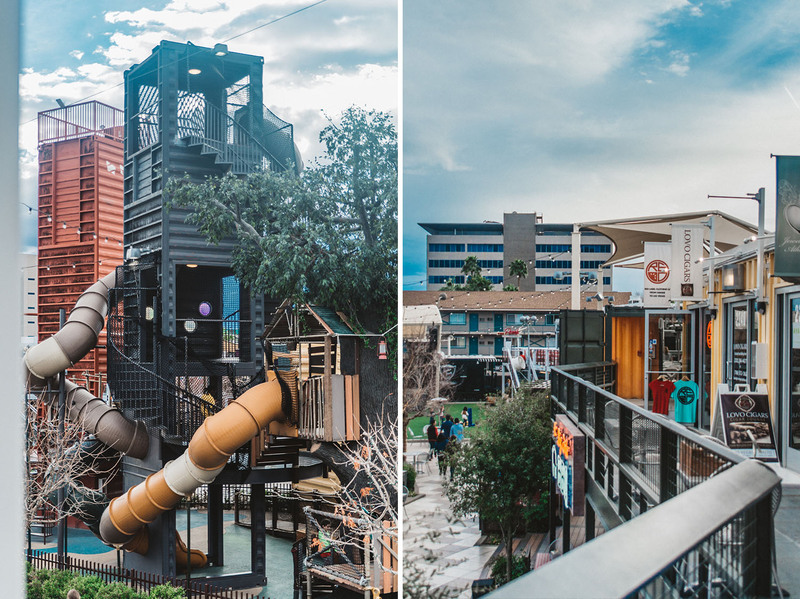 The Downtown is also a smashing cool family-friendly shopping center built with repurposed shipping containers. In the Downtown Container Park you can find more personal shops, bars, galleries, and cafés. 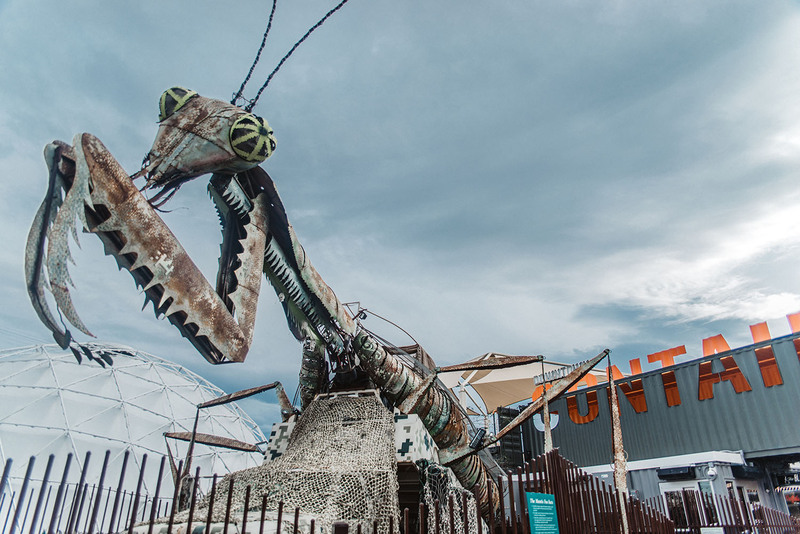 There is also a playground for children and a fire-breathing Mantis watching over the container park. Las Vegas started with the mafia. At The Mob Museum, you can learn everything about the mob that has controlled Vegas. It’s open daily from 9 am – 9 pm and tickets costs $25. If you are traveling to Las Vegas for the first time, you must stay at The Strip (or just nearby it). 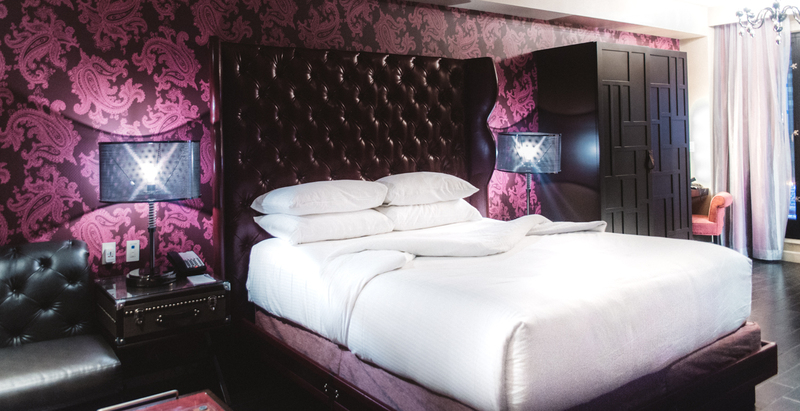 Even if you do not want to sleep in Las Vegas, the hotel is a big part of the experience. 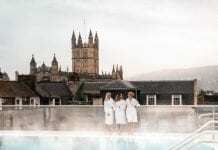 As all hotels have different themes, you can just pick and choose what you fancy the most. 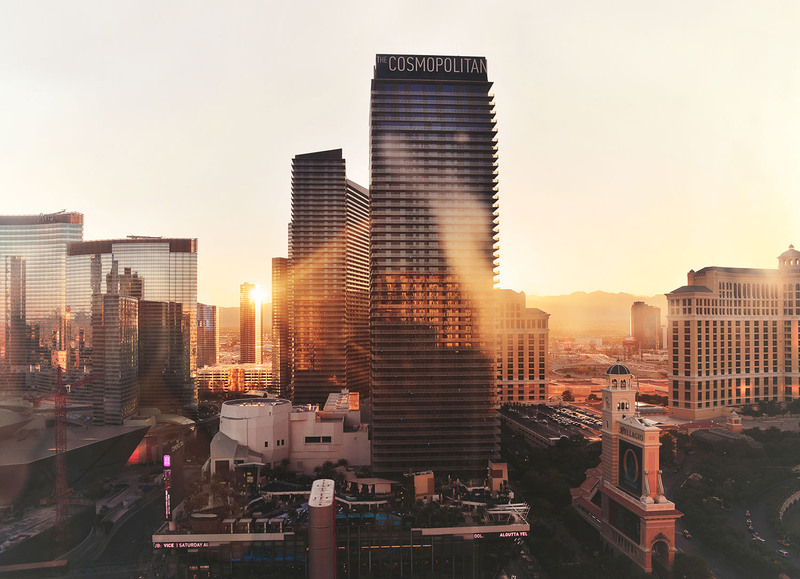 Apart from hotels with themes like Paris, New York, Venice and Egypt you also find hotels like MGM, the world’s second-largest hotel, with nearly 6000 rooms, as well as the five-star hotel The Cosmopolitan. The best hotels I have stayed at was the five-star condo-hotel The Signature at MGM Grand and the more personal boutique hotel The Cromwell (which “only” has 188 rooms). Is this for real? It’s hard to believe that you are inside a shopping mall with canals and sky. 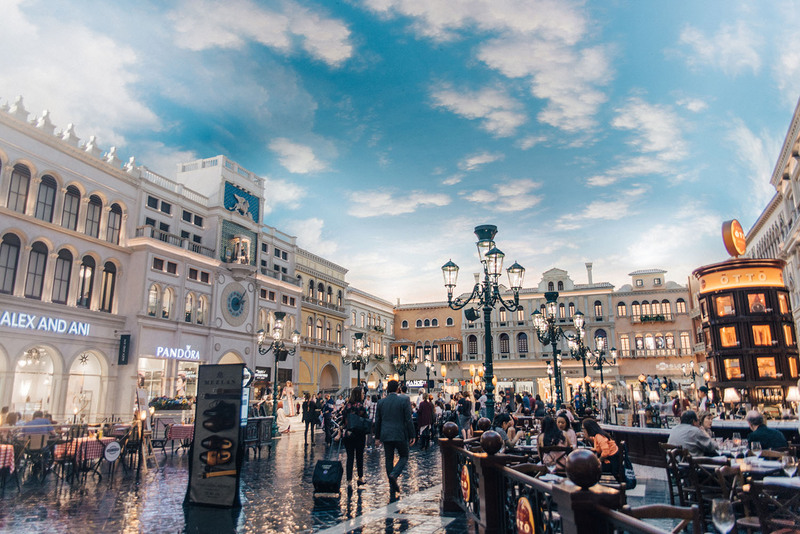 Whether you want to shop or not it is a must to visit the shopping mall, Grand Canal Shoppes at The Venetian | The Palazzo. 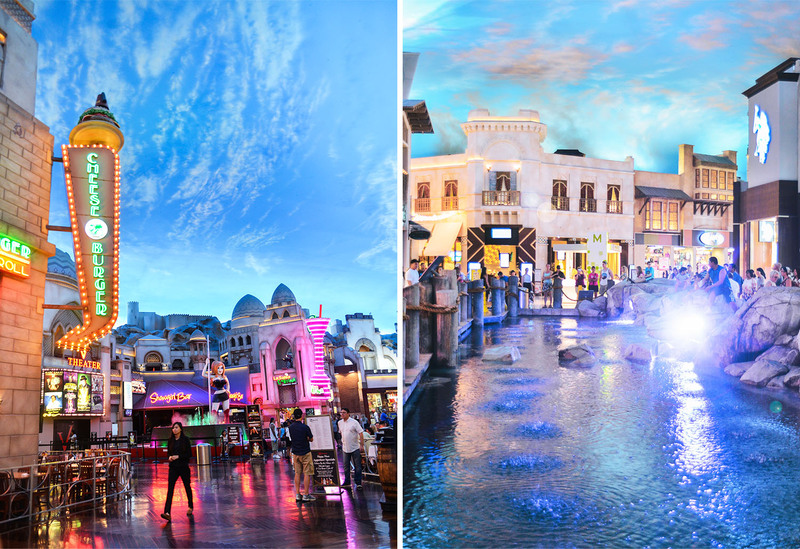 It is a mall out of the ordinary with waterfalls, canals and a blue sky indoors. 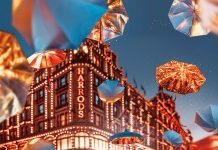 In the 90 000 square meters, you will find 160 signature stores, art galleries, world-class restaurants and luxury brands like Burberry and Jimmy Choo. Miracle Mile Shops is part of Planet Hollywood and is also an experience to visit. The mall offers 1.2 miles of shopping and dining with over 140 shops, as well as a show with lightning, rain, and thunder indoors. 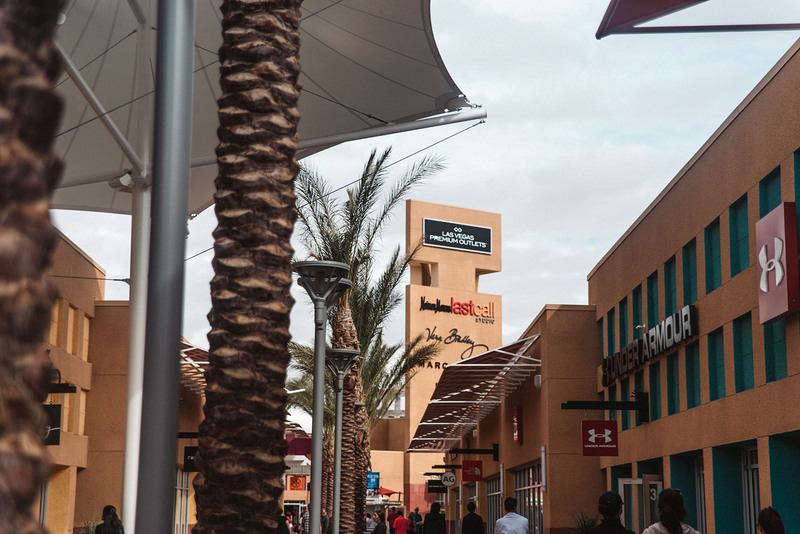 If you want to shop for designer clothes at great prices you need to visit Las Vegas Premium Outlets. 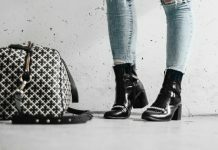 There is a North and a South Outlet with brands including Marc Jacobs, Burberry, Tory Burch and Saks Fifth Avenue. I bought, for example, a Marc Jacobs bag with 60% discount and a Calvin Klein shirt for around $20. Dinner at The Peppermill in Las Vegas. 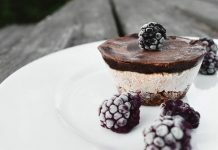 Forget bufées and think dining experiences! 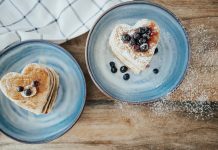 Las Vegas is a real mecca for those who like to eat, and there are a lot of interesting restaurants for both bigger and smaller wallets. 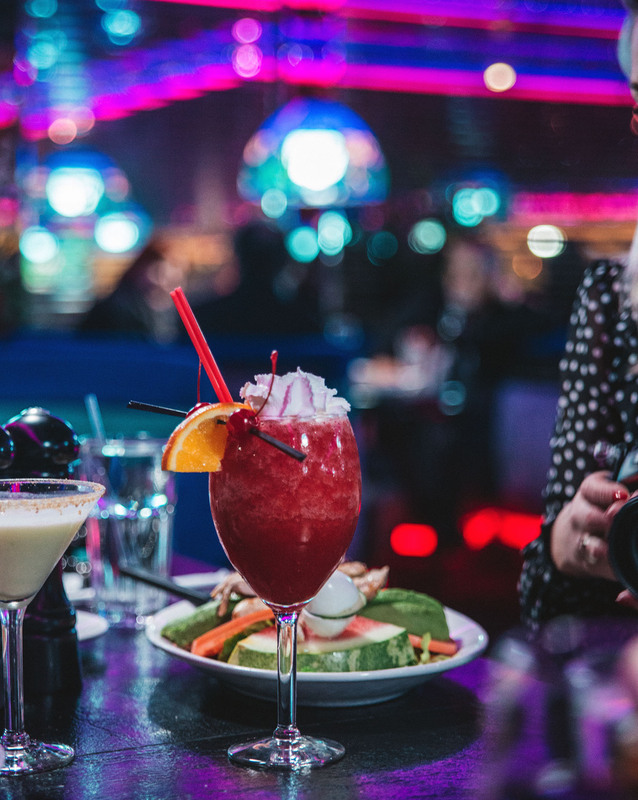 Taste the best at restaurants like La Cirque, Hakkasan, Bar Masa, CUT and Guy Savoy or dine in the American spirit with the locals (and celebrities) at the cool restaurant The Peppermill. 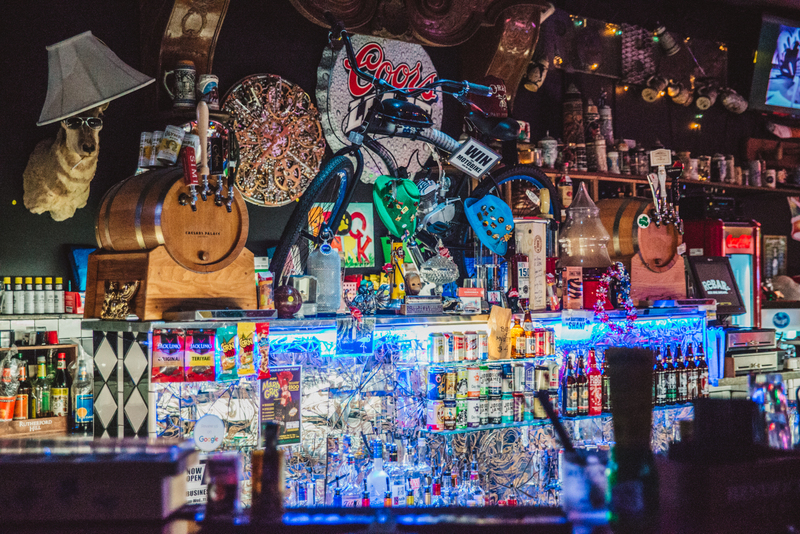 Rebar in the Arts District is a super cool bar and second-hand shop that should not be missed (here you can also shop interior while enjoying a hotlink and local beer). 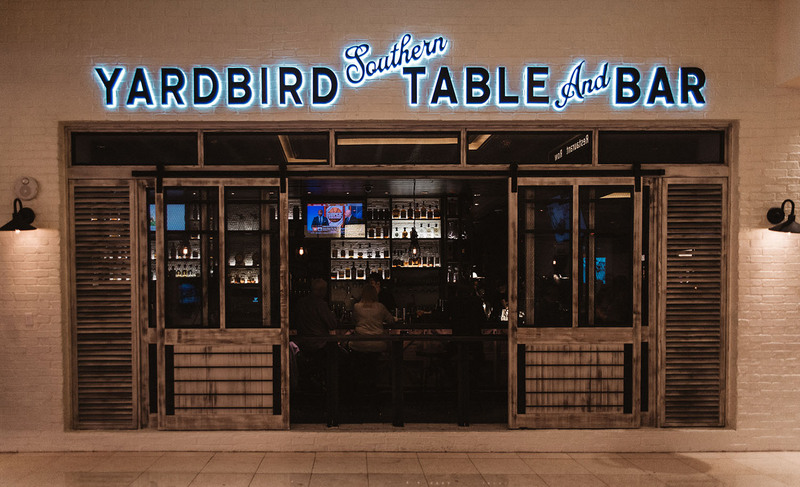 Yardbird Southern Table & Bar is also an excellent restaurant at The Venetian. Enjoy a drink or shop the interior at Rebar. Or why not do both? 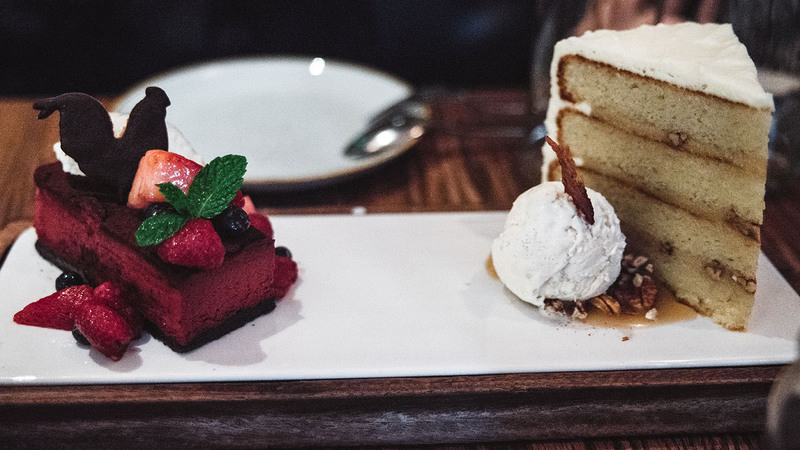 If you dare, try the cake with bacon frosting at Yardbird Southern Table & Bar? 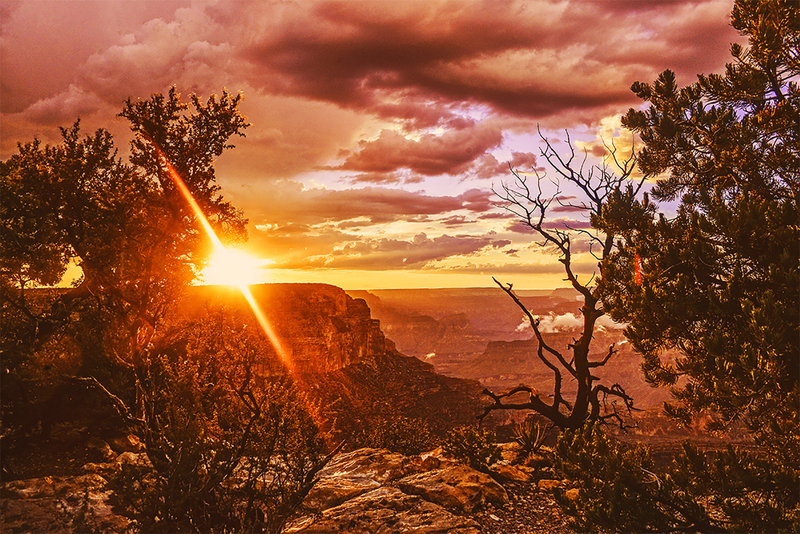 Sunset in Grand Canyon South Rim is one of the most stunning things I’ve seen in my life. 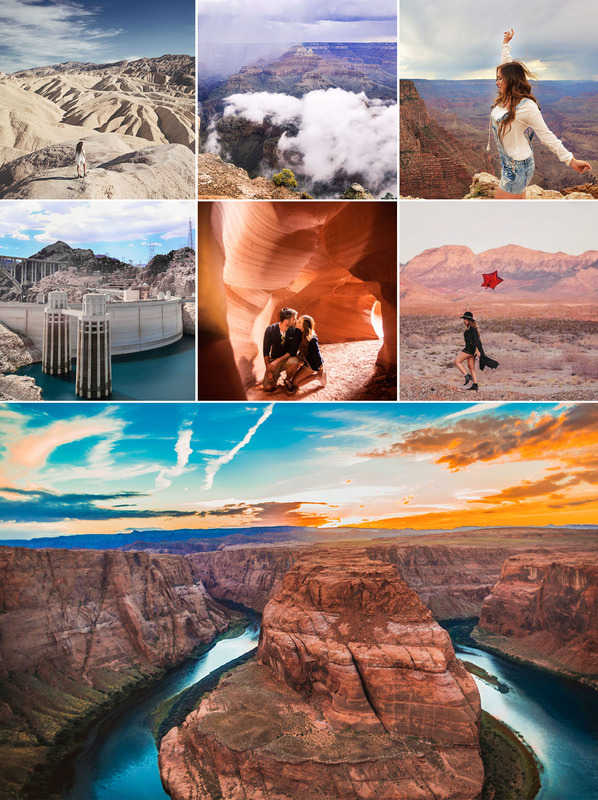 If you travel to Las Vegas, it is definitely worth to stay a few extra days so that you can experience some of the world’s greatest wonders. Just a few hours drive from Las Vegas are some of the most beautiful places I’ve seen in my whole life and nature that makes you speechless. 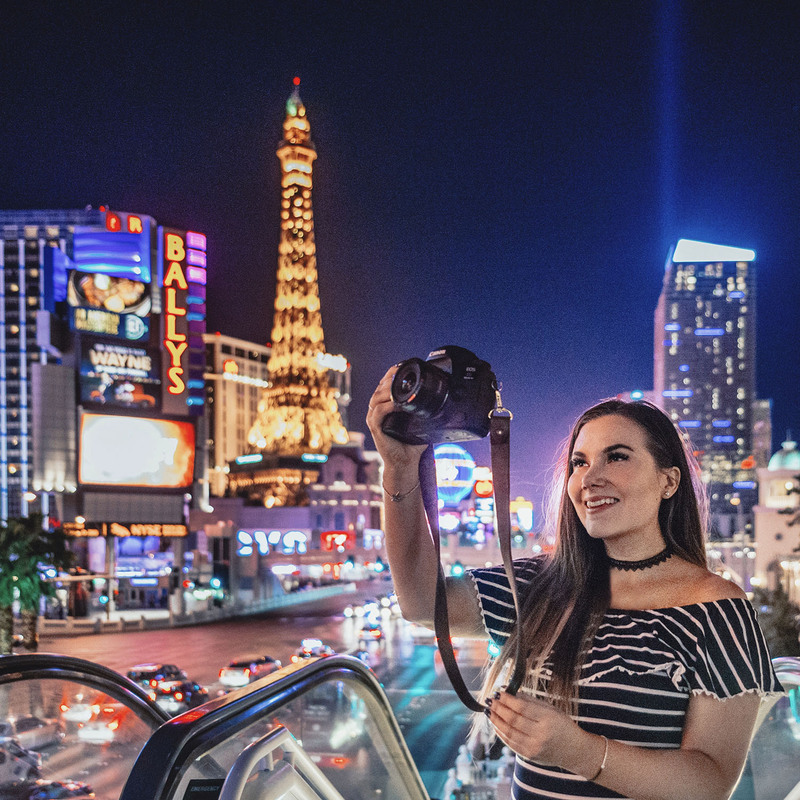 Last but not least, something you can not miss to do in Las Vegas is to stop and take a selfie by the famous Welcome to Fabulous Las Vegas sign. Since the sign is located near the airport, it is easy to stop and see the sign when you arrive or when you are going home from Las Vegas. 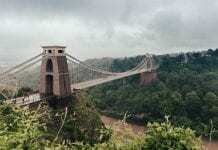 If you come here during the day, expect a long queue of tourists. If you go and see the sign by night, it’s a lot less crowded, and the sign is also illuminated. 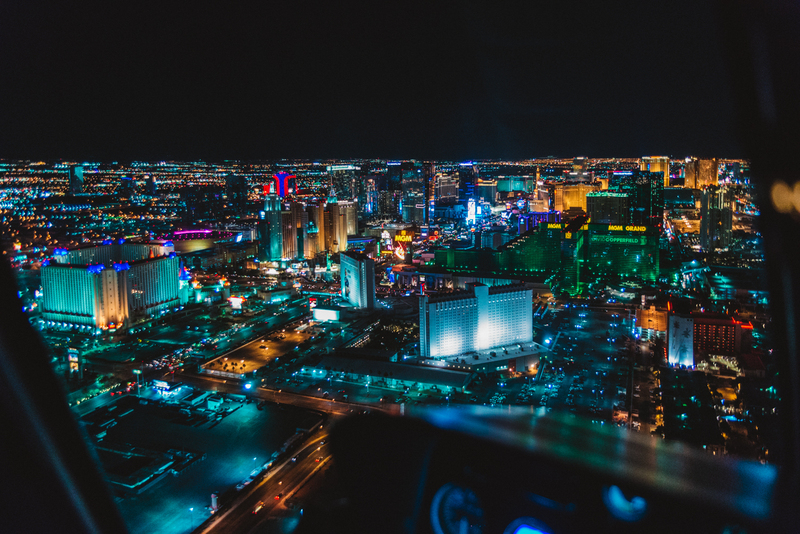 Vegas is the 28th-most populated city in the United States and have several nicknames like Sin City, City of Lights, The Gamling Capital of the World, The Entertainment Capital of the World, America’s Playground, The Marriage Capital of The World and The Silver City. 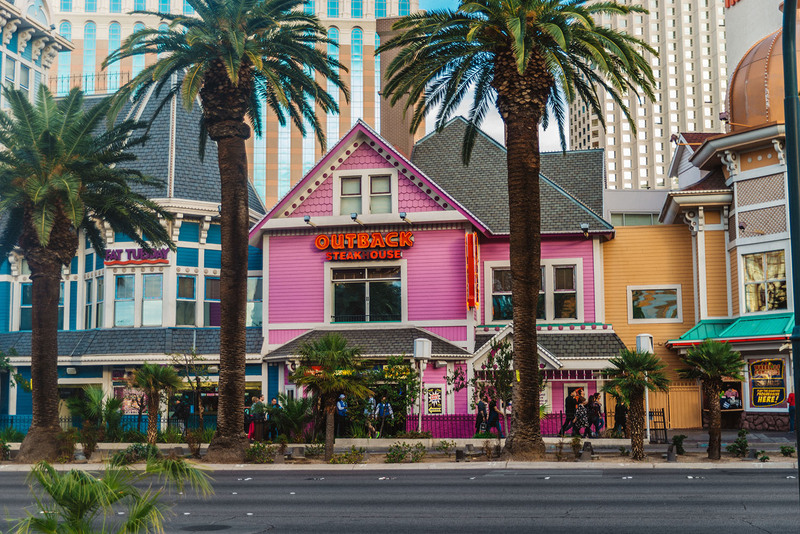 Getting around: Walk along The Strip. If it’s daytime it can be worth to grab a taxi or limousine between the attractions. Season: Las Vegas doesn’t have a high or low season, but you’ll find it least crowded between November and January. 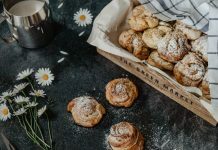 Do you miss something on my list? 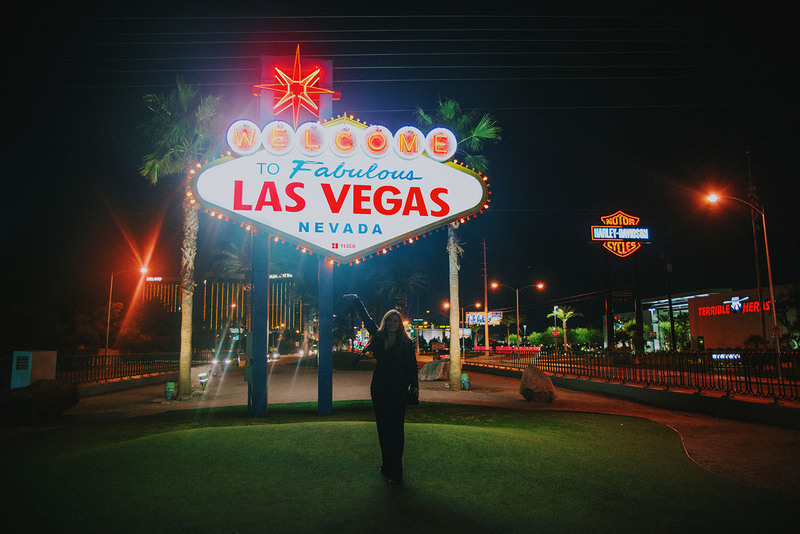 Please share your best tips for things to do in Las Vegas in a comment!